Overview. What is Thermolib for ? Simulate complete thermodynamic systems rapidly, simply and accurately and reduce your cost and lead times for product development and maintenance. 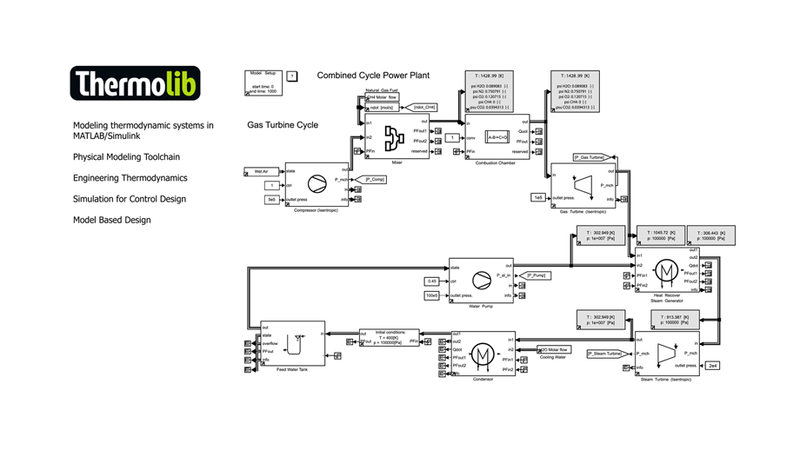 Thermolib allows earlier error detection and a risk free safety analysis. Design and optimize your complete thermodynamic system in a modular way. Design changes are implemented and tested within minutes. Reduce uncertainty and predict the robustness of the system design by simulating component failures. Concentrate on your core business and simulate real gas behavior, liquid mixtures and chemical reactions all the while knowing that correct thermodynamic equations and calculations drive your model. Start your free month now and design, simulate, and optimize your ideas, improving efficiency, productivity, and innovation for competitive advantage.